Milan is definitely the capital of fashion and, in fact, it is the host of the well-known fashion week in February! 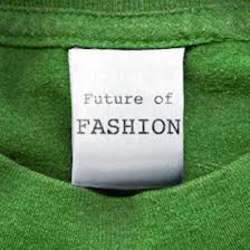 Well, whether you are a shopping-addicted or a "I'm just going to put on the first thing that comes out of my closet".... have you ever thought about the impact of fashion on the environment? Together with the Circular Economy Club we are going to discuss how sustainability can be a part of a company’s strategy, what we can do to reduce the amount of packaging used in clothing and many more other topics.